Harvey Stevens reports on the Isthmian Premier League clash between Wealdstone and Margate. Saturday saw two main promotion contenders meet at the Vale. It didn’t start well for Wealdstone as Margate’s right back Dean Pooley put a cross in to Dan Stubbs whose header found the bottom corner. Wealdstone fans were left stunned as Stubbs wheeled away celebrating his 7th goal of the season. Margate were dominating the possession for the rest of the half, until forward Leon Smith came close, but his shot was saved by Margate keeper, and caretaker manager, Craig Holloway. When the half time whistle blew fans were optimistic but still disappointed because of the early goal conceded. When the teams came out for the second half, Margate started as they finished the 1st, with Whitnall coming close twice. Then on the hour mark, Alex Dyer played through Peter Dean who took it past Holloway before losing his footing and losing the ball before he could shoot. Esmond James was introduced for the Stones and made an immediate impact as he cut inside from the left and blasted over the bar. This boosted the confidence of Wealdstone as they made some half chances for themselves. Wealdstone’s two goal hero Wes Parker. In the 84th minute Wealdstone got a freekick on the right hand side. The ball came in and was fumbled by Holloway before Sean Cronin helped it towards goal and was eventually put over the line by centre back and captain Wes Parker. The fans were too busy celebrating to realise that the stones had another free kick on the left. The ball was swung in like the last goal and was flicked on by Wes Parker yet again and the ball managed to find the far corner. The Vale exploded as they realised they had come back from 1-0 down to 2-1 up in the space of 4 minutes. With this they are now in 2nd place but 10 points off the league leaders. Personally I would have loved to give the man of the match award to Wes Parker but you cant give a man of the match award based on 5 minutes of brilliance. So I have to give the MOTM award to Bodkin of Margate. 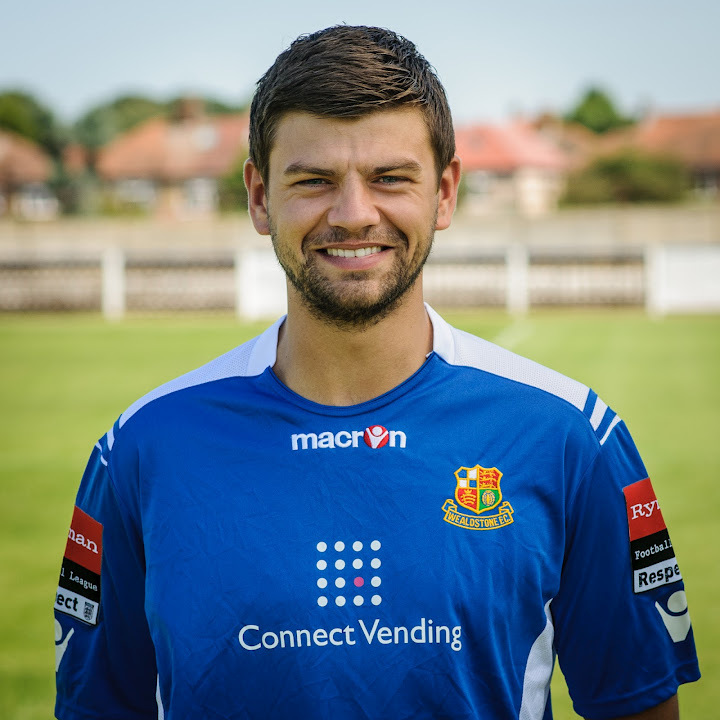 Posted on February 18, 2013, in UTL Archive and tagged Isthmian League, Margate FC, Ryman Premier, Wealdstone FC, Wes Parker. Bookmark the permalink. 1 Comment.